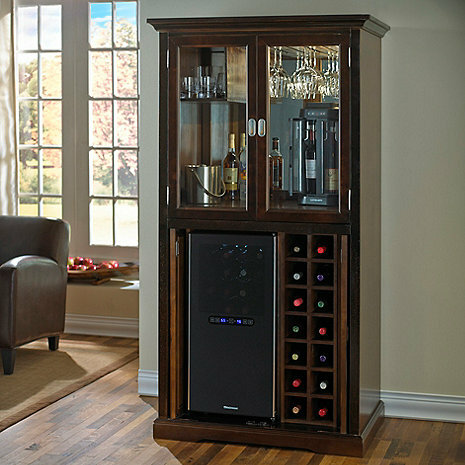 Wine Enthusiast will solve all of your furniture needs with our expertly crafted selection of wine rack furniture, storage, cabinets and more. If you're planning on decorating your kitchen, bar or wine cellar, we can provide you with the perfect piece to suit your decor, chosen from any of our unique credenzas, cooling units, tables or serving trays. 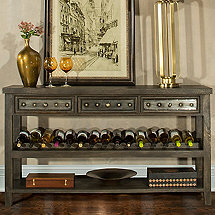 Weekly wine gatherings will be happening a lot more in your home with our mesmerizing wine bar and wine rack furniture. For more information on dimensions, features and specifics, feel free to contact our storage experts with questions for any of your needs. Wine Country Living. 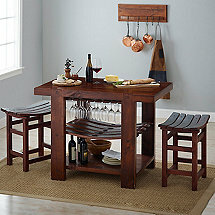 Integrate your love of wine with artisan furniture for the kitchen, great room, cellar and bar. 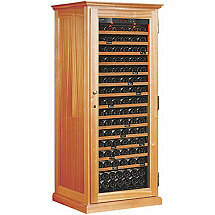 Find cabinets worthy of storing your finest bottles. Credenzas that double as wine bars. Rustic beauty from the workshops of Tuscany to the wineries of Napa to the distilleries of Tennessee.